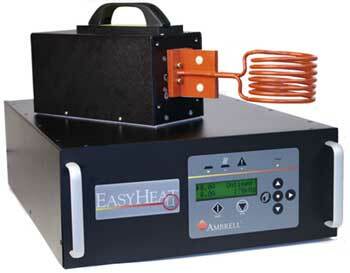 Ambrell, a leading manufacturer of induction heating systems, has sold an EASYHEAT 2 kW/150-400 kHz induction heating system to a university. The professor who purchased the system plans to use it for demonstrations that will be part of an engineering class. It will also be leveraged for research applications. Induction is a popular industrial heating method, and consequently many engineering departments are beginning to take notice. They have begun highlighting the heating method as a part of their curriculum. The technology is also being used for a wide variety of research. Additionally, systems are commonly used for medical research applications within universities such as nanoparticle heating. Ambrell has helped numerous universities with an array of testing through its complimentary applications testing. Experienced applications engineers assess the application and ensure induction is the right fit for the research application. Universities then purchase systems with peace-of-mind knowing that induction will meet their objectives. Induction heating can be applied in a wide range of applications. Contact us for more information and discover how induction heating can benefit your research applications!